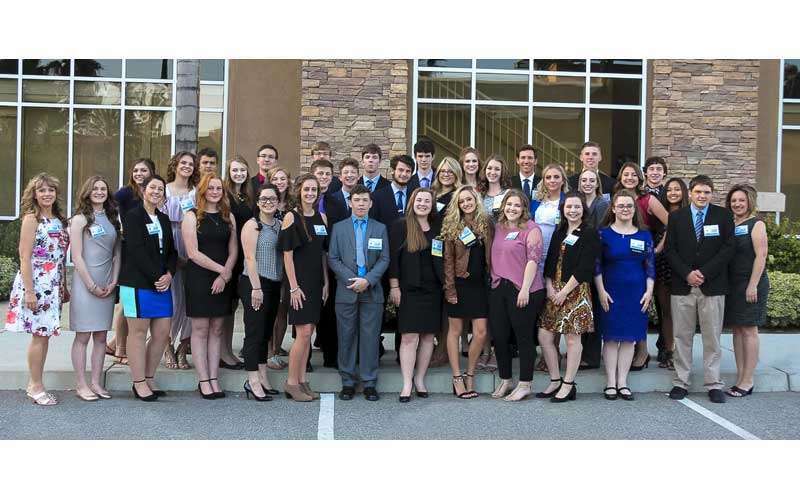 Lassen Future Business Leaders of America members traveled to Ontario, California to compete at the FBLA State Leadership Conference April 12 through April 15. The conference started with a motivational speech by Scott Backovich, a leadership consultant and a kindness advocate who speaks at schools and conferences all around the country to inspire teens through speaking at their level. The three-day conference included workshops for members to attend to increase their business knowledge, including how to organize their finances and become better at interviews. The conference culminates a year of preparation in more than 65 different competitions, 39 of the events are performance or presentation. While participating at the conference, students voted for state officers and attended a North Section presentation. While participating at the conference, students voted for state officers and attended a North Section Chapter meeting. The following students qualified to compete against 2,500 other qualifiers out of 9,000 members in the state of California. Jordanna Jones – business communications. Hunter Zimmerman – business law. Maddi Wallace – future business leader, impromptu speaking and local chapter annual business report. Kaitlyn Korteum – global business. Camille Memmot – global business. Erin Pecore – global business. Jenna Monahan – graphic design and hospitality management. Gracie Claypool – health care administration. Anna Brady – graphic design. Kenna Duncan – journalism and sports management. Logan Ernaga – health care administration and introduction to information technology. Gwyneth Stubbs – health care administration and journalism. Anna Brady – hospitality management. Allyza Andrade – hospitality management and parliamentary procedure. Dustin Morgan – entrepreneurship, insurance and risk management. Connor Lewis – entrepreneurship and personal finance. Erika Zimmermann – entrepreneurship. Sophia Meraz – management and decision making and advertising. Chase Montgomery – parliamentary procedure. Brandon Anderson – parliamentary procedure. Ethan Heffner – parliamentary procedure and marketing. Dominic Sullivan – parliamentary procedure and marketing. Kristen Skillen – spreadsheet. Allison Magarrell – introduction to business procedure. Tyler Schwagel – introduction to business procedure and sports management. Bryson Mays – introduction to information technology. Brenton Meadows – introduction to information technology. Ryan Elison – marketing. Delainey Nevis – management and decision making. Emma Newton – management and decision making. Autry Satica – introduction to public speaking. Brand Satica – sports management, Kylie Eidson – sales presentation. Ronnie Merrill – advertising. Kayla Sanchez – advertising. Lassen FBLA was awarded the Outstanding Chapter award and Adopt-A-Chapter award at the opening ceremony. The Adopt-A-Chapter award was the result of our local outreach to Janesville Elementary and Richmond Elementary, which helped introduce younger students to the benefits and opportunities FBLA offers. Both middle schools have started FBLA at their schools. 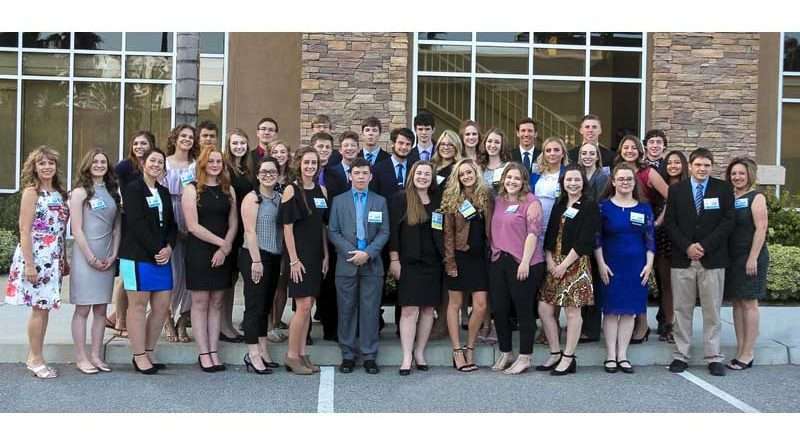 Lassen FBLA was also awarded multiple awards based on the membership of their chapter; these include; Largest Local Chapter Membership, Largest Percentage of Increase in Local Chapter Membership and Largest Increase in Local Chapter Membership. Their chapter has significantly increased from a mere 74 members to 414 members in a single year. Congratulations to Madisen Wallace who placed second in impromptu speaking and will be going to FBLA Nationals this summer in Baltimore, Maryland. Also placing at the state level, were Logan Ernaga for healthcare administration, Kylie Eidson in sales presentation and Autry Satica in public speaking and the entreprenteurship team placed fifth, and included Connor Lewis, Erika Zimmerman and Dustin Morgan. Kayla Sanchez relinquished her office as the Northern Section Public Relations Officer and organized the Northern Section meeting at state.